"UC Davis Children's Hospital this month joins Project Baby Bear, the first California state-funded program to offer rapid whole genome sequencing (WGS) for critically ill newborns. The $2 million Medi-Cal pilot program will provide genome testing for babies under a year of age who are hospitalized in intensive care and suspected of having a genetic disorder." "In September, Rady Children's launched Project Baby Bear with $2 million in funding from Medi-Cal (California's Medicaid health care program). The program will provide WGS testing for critically ill newborns across the state. Although Rady Children's Institute for Genomic Medicine has conducted WGS for more than 1,200 children since 2016, philanthropic donations had previously paid for most of the testing. Until Project Baby Bear, private insurance and Medi-Cal didn't cover WGS." "Rady Children’s Hospital-San Diego is launching Project Baby Bear, the first California State funded program to offer rapid whole genome sequencing (WGS) for critically-ill newborns. The $2-million Medi-Cal pilot program will provide genome testing for babies hospitalized in intensive care....The program was championed by the California Legislative Rare Disease Caucus co-chaired by Assemblyman Brian Maienschein. He was among the lawmakers on hand for the program launch at Rady Children’s Hospital. Also attending was State Senate President Pro Tem Toni Atkins, Assemblyman Todd Gloria and State Secretary of the California Health and Human Services Agency Michael Wilkening." 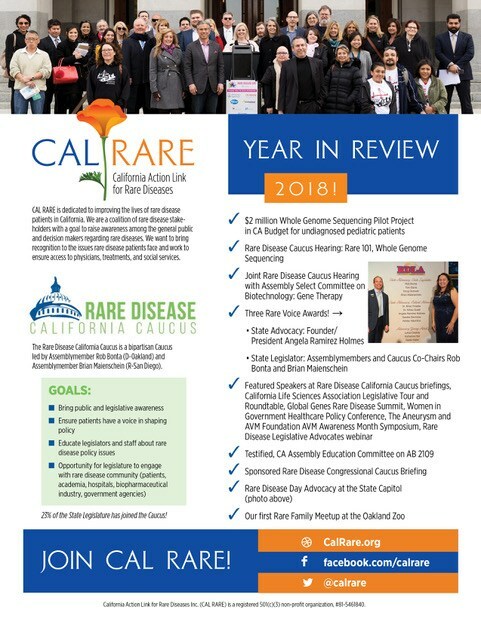 The bipartisan Rare Disease Caucus announced today that the State Budget signed by Governor Jerry Brown includes $2 million to establish a California clinical pilot project to test a minimum of 100 Medi-Cal neonatal and other pediatric patients with undiagnosed diseases using clinical Whole Genome Sequencing. Whole genome sequencing is the process of determining the complete DNA sequence of a patient's genome at a single time.